Scarlet Thread In Concert In Dallas On New Year’s Day! You are here: Home / Great Deals / Scarlet Thread In Concert In Dallas On New Year’s Day! My #2 middle son is in a band and has been most of his life – he’s 20 – they started playing together at about 12! Well, on New Year’s Day they will play their first big “gig” in Dallas! They will be playing at The Door in Dallas, if you happen to be around come hear Scarlet Thread! They have been working towards this for a very log time and have written some amazing songs! Notice the awesome drums – that’s my son! 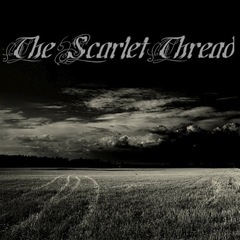 You can check the Scarlet Thread MySpace Page and “Like” Scarlet on their FaceBook Page!